Ir. 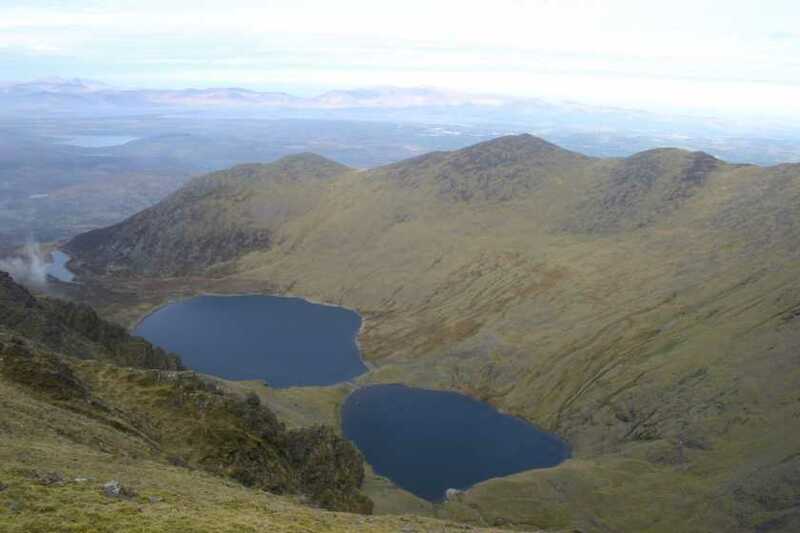 screig is a variant of creag/creig, 'a crag' (Ó Donaill, Foclóir Gaeilge-Béarla). 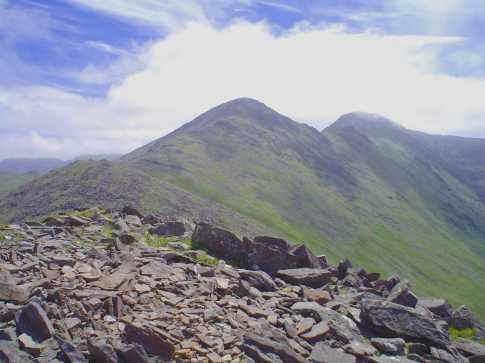 Skregmore is the 21st highest place in Ireland. Much climbed but little remembered, Skregmore is a victim of its location. 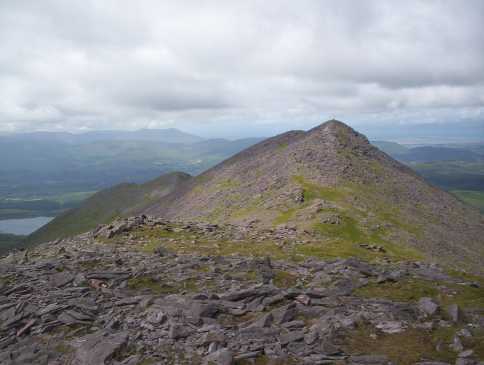 One of the highest summits in Ireland but adjacent to still higher tops, impressively rocky but still far less dramatic than many nearby mountains, it sits on the north arm of the Coomloughra Horseshoe, and its ascent will invariably be made either in the course of this marvellous outing or during an ascent/descent of Beenkeragh alone. 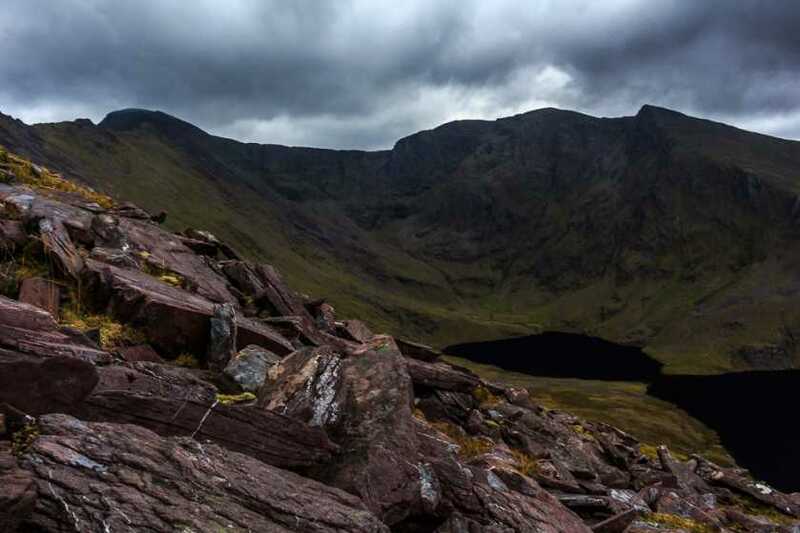 Start from the new car park at (V771 871 A) and walk up the Hydro Road to Lough Eighter, then take to the steep slopes of Cnoc Íochtair; a path can be found leading most of the way up this. 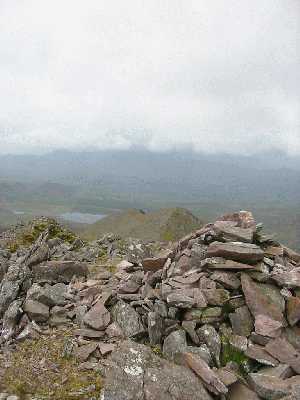 Once over this lesser summit a straightforward climb over grass, rock and boulders leads to the rough summit. The Coomloughra Horseshoe route continues over the slightly higher twin top of Stumpa Barr na hAbhann on the way to Beenkeragh. Picture from David-Guenot : Looking S towards Caher and its W Top from the top of Skregmore. Picture: Looking S towards Caher and its W Top from the top of Skregmore. 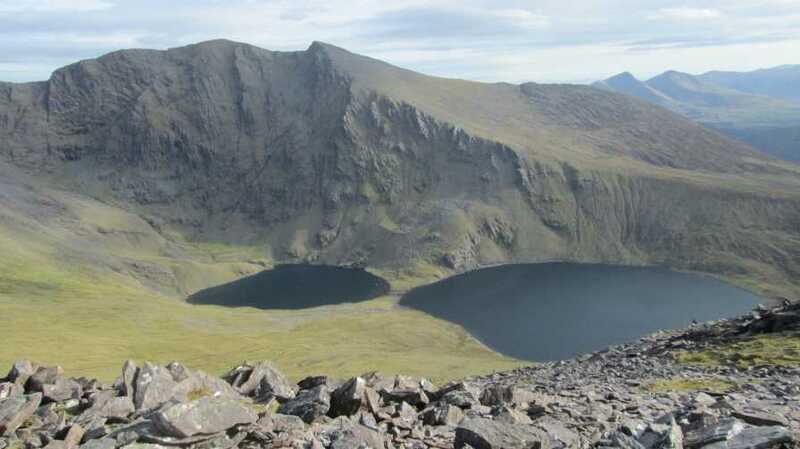 Not the worst views of the Reeks !! When you get to the summit of Skegmore this , if you're lucky , is the view that greets you.